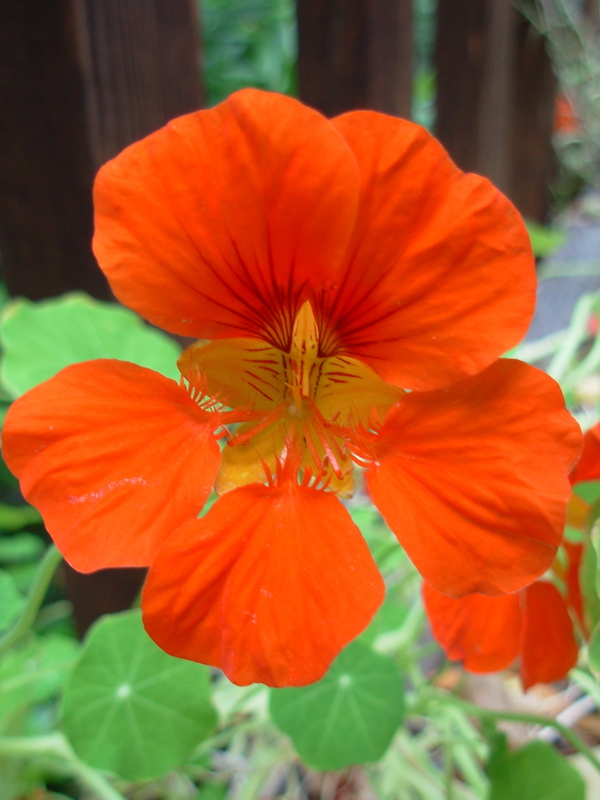 I love nasturtiums and this summer I had a real cascade of them tumbling over the deck boxes in their bright colors and peppery scents. My daughter and I went to weed them the other day and noticed that many had gone to seed and still many others had dropped their seeds on the deck. We gathered the seeds excitedly, figuring that since they were intact and recognizable as the nasturtium seeds we’d planted before, we should be able to save these for planting in the future. After all, what better way for kids to learn about the process of seeds becoming plants than to collect, save, plant and grow their own seeds? 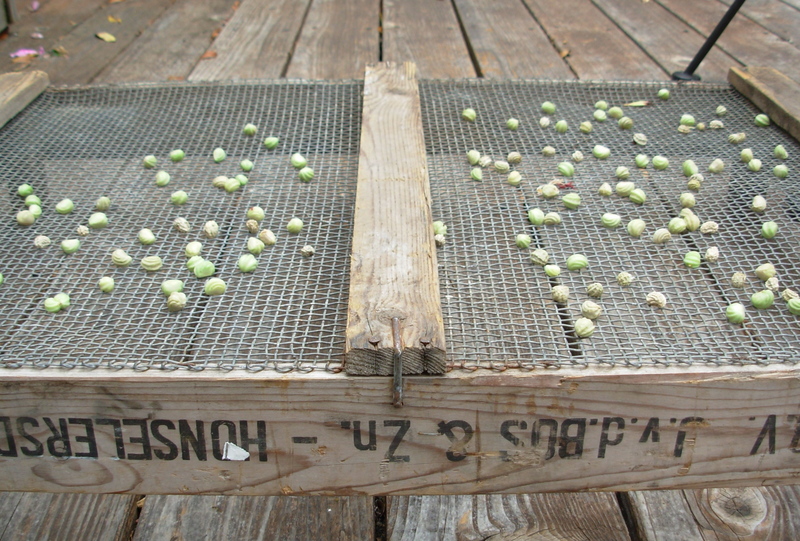 I since found a couple of wonderful resources about seed saving. Mr. Brown Thumb has a lot of great information about collecting nasturtium seeds, complete with a video. 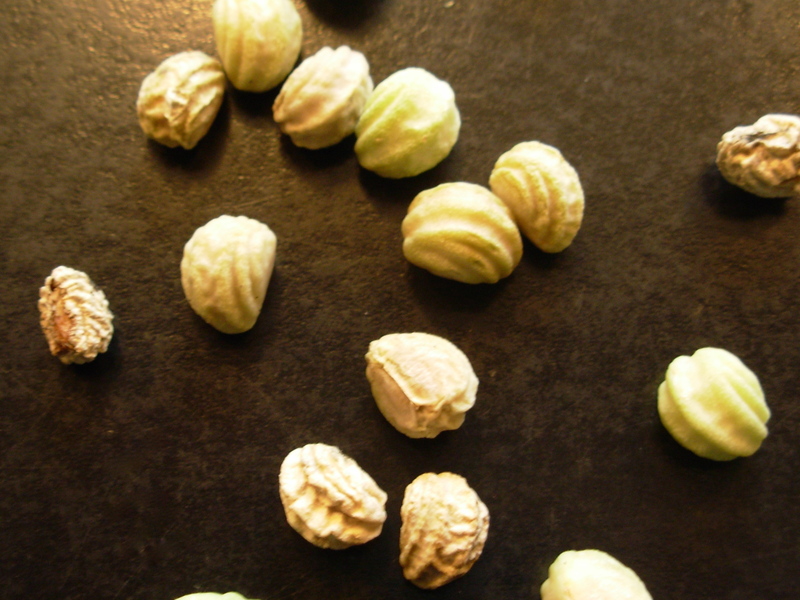 He says that larger seeds are best, and that it doesn’t matter if the seeds are brown or green. This is good news because I found plenty of both. When the seed pods have dried on the plant (flowers, beans, broccoli, lettuce…)Keep an eye on the pods as they start to brown. 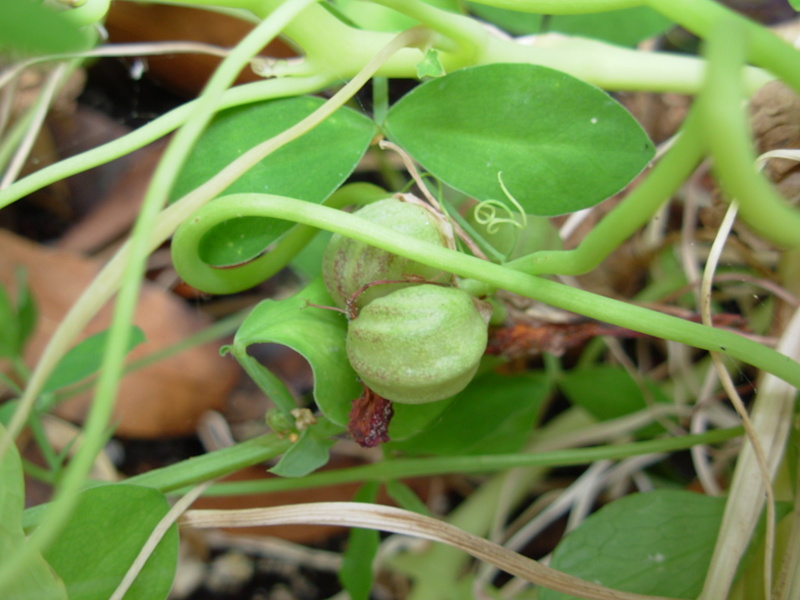 Most seed pods will open and disperse on their own. You can catch seed by placing small bags over the seed heads when they look ready to pop or by pulling the plant just before completely dry and storing upside down in a paper bag. What Seeds Can Be Saved? Open Pollinated or heirloom, self-pollinated plants are the only varieties that will grow true from seed, meaning the seedlings will be exactly like the parents. These are the seeds worth saving. 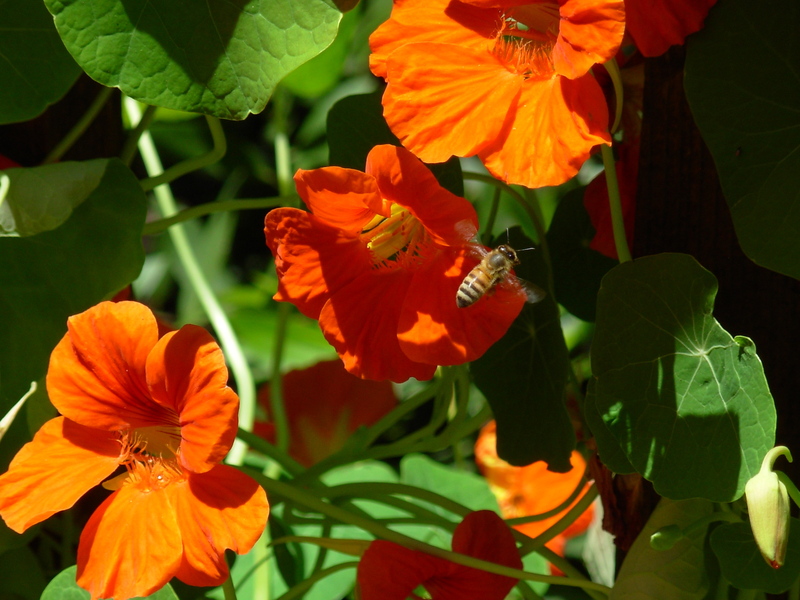 Self-pollinated plants are the easiest to save and include: Beans, Chicory, Endive, Lettuce, Peas, Tomatoes. You can also save many heirloom flower seeds such as: cleome, foxgloves, hollyhock, nasturtium, sweet pea, and zinnia. 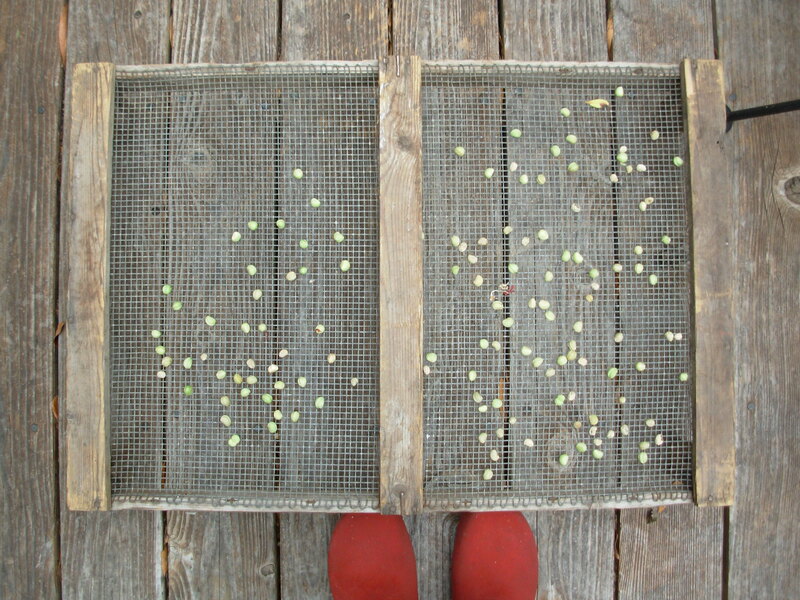 I dried my seeds on this old bulb storage crate from the Netherlands. It’s come in handy for all kinds of drying projects. I stored my seeds according to the above guidelines. I’ll plant them next year and will let you know how they do. This entry was posted in Deck Garden, Lost Arts, Nature, Sustainability and tagged Container Gardening, Drying Seeds, Flower Seeds, Flowers, Gardening, Heirloom Seeds, Nasturtium, Nasturtium Seeds, Seed Saving, Seeds. Bookmark the permalink. Namaste, beautiful as always, informative and I learned something all at the same time. Thank you. Hi Michael! Thanks so much for visiting and for your lovely comment. I truly appreciate the support and it’s good to know that the info is of use! I found this such a delightful simple activity. It was a lot of fun to discover and share it. Great to hear from you as always! It is my pleasure, I am a big fan of your blog, it is linked on the blog roll of our beta site now. If you like it is at sbafarmscollective.org. still on soft launch but almost finished. Hi Michael. Thank you so much for adding me to your blogroll. Your new blog is lovely and I am honored to be included. Peace and light back to you, as always! Thanks for the inclusion in the link roundup. Glad you found the post useful. You are most welcome! Thank you for the wonderful resource and the continuing inspiration. This is great practical advice. Thanks for posting. Hi Juliet! You’re most welcome! It’s wonderful to see you here. I’m so glad you found the seed-saving information useful. As for me, I think it’s going to prove a really interesting and fun new hobby! Great tips! We love saving seeds, and have a whole drawer in our fridge full of them. It is very satisfying to plant something you collected the summer before!!! Hi Denise! It’s great to see you. How wonderful that you’re a seed saver! Are there any plants that you’ve had particular success with? Any tips? Do you always save your seeds in the fridge? It sounds like you’ve done well with them — I so agree that it’s a completely satisfying and full-circle experience to plant seeds from a plant you grew. I’ve always planted nasturtiums in the summer, but your post made me realize I forgot to this year. Seeing your photos makes me miss them! My husband and I are also practiced seed savers. Hi Sarah! I’m so delighted that you visited my blog. Your own blog is quite beautiful and inspirational, as are your toys. (I’m also a huge fan of Maine and, even though I’m about as far across the country as one can be from you, I try to get there when I can.) I hope that we continue to stay in touch. Which seeds have you had particular success with? Thanks for the kind words about my blog! I grew up in Southern California, and in fact, just got home this week from the Bay Area. My husband and I used to have a family farm where we regularly saved as many seeds as we could, but primarily vegetables — beans, melons and tomatoes. Merry Christmas Everyone. I live in a small village called Oakley which is 5 miles north of Bedford and 75 miles north of London, UK. I’ve been saving & buying seeds for a couple of years now. The ones I like the best are seeds from the Monkey Puzzle Tree. I have 4 growing at the moment – 3 in the greenhouse & 1 indoors on a window sill. If anyone has any they don’t want please can you send them to me. Send me an email & I’ll reply with my contact details. Happy New Year to everyone & Season’s Greetings. I hope you have a very nice day!